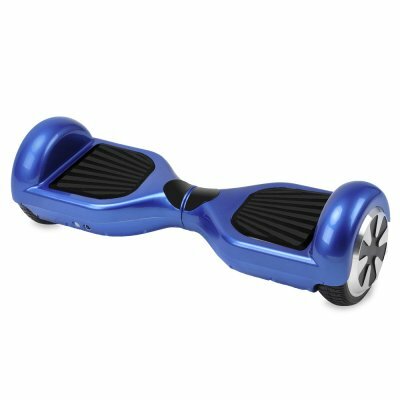 Successfully Added 2 Wheel Self Balancing Scooter "Galactic Wheels 400" - 2x200 Watt Motors, 4000mAh Lithium Battery, 10kph, 25-30km Range (Blue) to your Shopping Cart. This is the Revolutionary Self Balancing electric two wheeled scooter "Galactic Wheels 400". 400 Watts of power come from the two electric motors, which is enough to power the rider along at speeds up to 10kmph for up to 30km before the large 4000mAh battery will need a recharge. This environmentally friendly Two Wheel Electric Scooter will let you save the earth while looking cool. Do your bit by traveling in a greener cleaner way with this state of the art hi tech rideable. Powerful gyroscopic forces keep the two wheel scooter balanced so even if you can’t ride a standard bike you will have no trouble getting around on the Galactic Wheels 400. A pressure sensor in each footplate monitors the weight distribution and as you lean forward or backward on each foot the 200 Watt motors will independently adjust the speed to allow for easy and precise control. Just tilt your feet and of you go. You can even come to a stop by just standing upright and won’t have to struggle to keep in balance as the gyroscopic motors do all that hard work for you, making it more practical than other forms of green transport. Capable of carrying loads up to 110kg this new age rideable can reach speeds of 10kmph and has a range of 25 to 30km, which makes the commute a lot more fun that sitting in traffic. 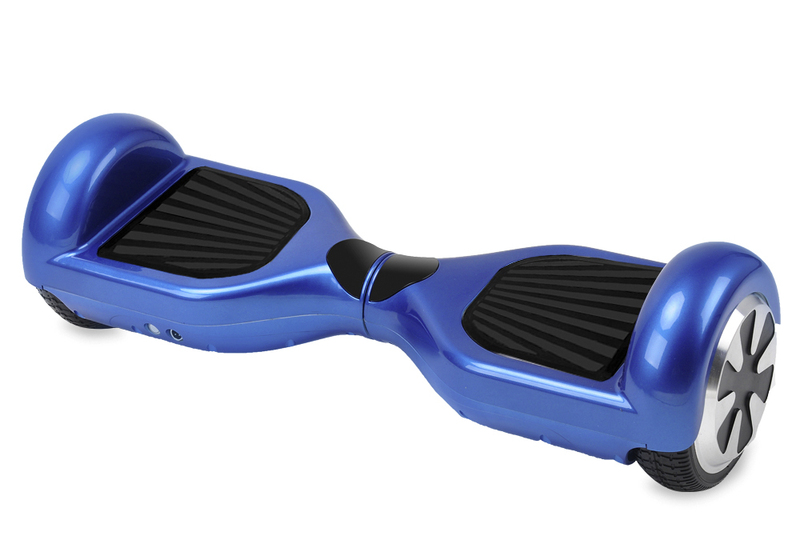 It can even handle gentle inclines and travel over uneven surfaces as well. Like something from the Jetsons the Galactic Wheel 400 rideables are things we could only dream of a couple of decades ago. An 4000mAh battery provides all the charge you need to get to your destination and keeps the two wheels turning for up to 3 hours. With zero emissions you needn’t feel guilty when leaving the rush hour chaos behind because you’re helping the environment each time you use this unique method of transport. This 2 wheel electric scooter is in stock now, we guarantee next working day shipping and offer a 12 months warranty on all our products. Brought to you by the leader in electric rideables as well as wholesale electric scooters and ridables, Chinavasion.